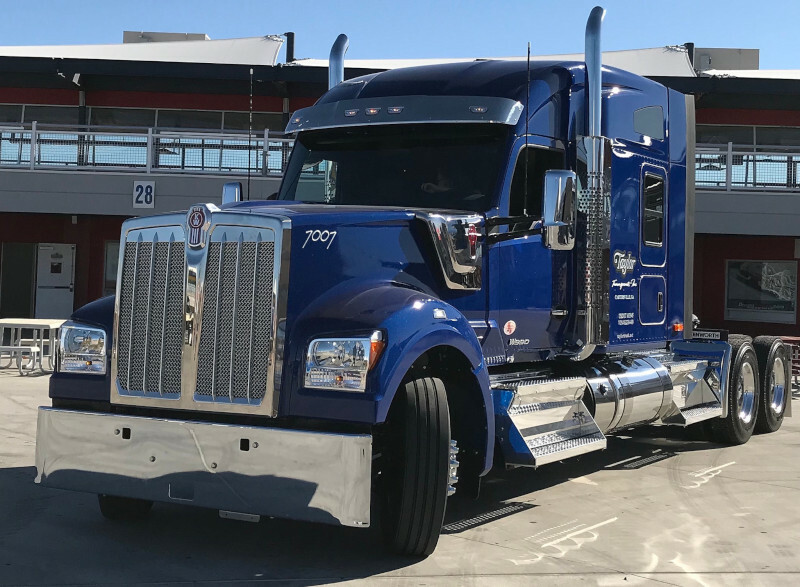 There’s nothing like being among the first to receive a new truck model, and three Kenworth (NASDAQ: PCAR) customers got to experience that feeling on Thursday night when they accepted the keys to their new W990 tractors at an event at Las Vegas Motor Speedway. Executives from Fleenor Bros., Taylor Transport and Oculus Transport accepted the keys to Kenworth’s newest long-hood tractor. Touted as a “Driver’s truck,” the W990 borrows from the T680 and T800 cab designs for a driver-focused experience in the cab. Set on a 131.5-inch bumper to back-of-cab chassis and carrying with it the traditional long hood of the W900, the W990 is designed to stand out on the road. Designed and often used in line haul, pickup and delivery, regional haul, and heavy haul operations, the truck is expected to project a bold presence, Kenworth said. That is something that is important to Cory Heck, vice president of assets and equipment for Calgary, Alberta-based Oculus Transport. The W990 comes in day cab, 40-inch flat top, and 52-inch and 76-inch mid-roof sleeper configurations, all equipped with a Paccar powertrain standard. An MX-13 engine rated up to 510 hp. and 1,850 lbs.-ft. of torque, a 12-speed Paccar automated transmission and Paccar 40K tandem rear axles round out the key specs. “A well-spec’d long-hood conventional stands out in a crowd,” Kyle Cousins, vice president of operations of Fleenor Bros, said after receiving one of the first W990 model tractor from Kenworth. “The new Kenworth W990 is a reflection of the Kenworth brand … which represents the quality, engineering excellence, and both customer and driver focus that goes into every Kenworth we build,” Mike Dozier, Kenworth general manager and Paccar vice president, said. For drivers, the cab features the Kenworth Driver’s Studio package that offers a 180-degree swivel passenger seat and rotating table for two people, drawer-style refrigerator, and space for a microwave. It is equipped with Kenworth’s premium audio package with 320-watt amp, 10-inch subwoofer and eight speakers; swivel TV mount for up to a 28-inch flat screen TV; and optional EpicVue pre-wire for satellite TV. Kenworth will take the W990 on a pair of road tours to 20 dealerships across North America, beginning in October. The first tour begins Oct. 10 at MHC Kenworth in Atlanta and concludes on Oct. 30 at Kenworth of Pennsylvania in Shartlesville, PA. The second tour will begin at Kenworth Northwest of Lakewood on Oct. 19 and ends at Kenworth of South Texas in San Antonio on Nov. 12. For life on the road, storage includes a full-size wardrobe space for hanging clothes, multiple storage drawers, and storage space under the lower bunk. The 1,800-watt inverter includes a shore power connection and four standard 120-volt sleeper outlets to power a range of electrical devices. LED lighting appears throughout the interior. A W990 Limited Edition interior is available in midnight black with glossy Ravenwood door and dash trim accents. The special interior features rich black leather, embroidered W990 logo, Royal Blue double-stitched diamond door pads, black leather wrapped steering wheel with Royal Blue stitching, and driver and passenger seats with suede charcoal inserts and perforated leather with Royal Blue backing. 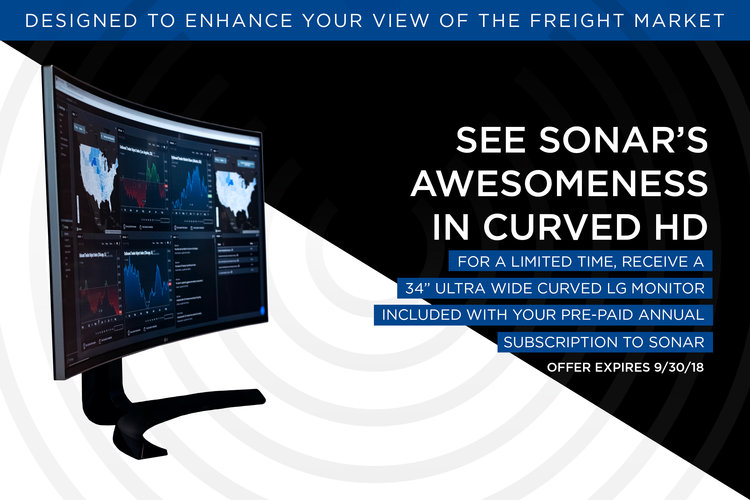 The W990 comes standard with the Kenworth TruckTech+ remote diagnostics system and NAV+HD 7-inch, color in-dash display that provides access to truck-specific navigation, roadside assistance, vehicle data, hands-free calling, audio controls, blind-spot camera inputs and the Internet. Kenworth design director Jonathan Duncan said the goal was to design a truck incorporating the heritage of Kenworth’s W900 model. Calling it a “once in a lifetime opportunity as a designer,” Duncan’s team started with a clean slate. Inside, special touches were added to enhance the driver experience. In addition to showcasing Kenworth’s pride, the W990 needed to be functional, and giving a driver something he or she is proud of goes a long way to producing a more productive truck. Among the design achievements Duncan pointed to are the hood and grill. The truck also small but important features such as the design of hood-side stainless steel air intakes that, in some colors, can make the intakes appear twice as deep as they actually are, Duncan noted. A “wind-split” in the center of the hood helps accentuate the length of the hood.